Historical landmarks, lush tree-lined streets, fine eateries and amazing attractions are what give Coral Gables homes their reputation as some of the most luxurious residences in Florida. The community emerged as a tiny Miami suburb in 1925 that has upheld its position as one of the first planned communities in the United States with over 150 global companies, spotless residences, comfort, clean living areas, and convenient amenities. Referred to as "The City Beautiful," the community boasts a diverse selection of highly desirable homes complimented by stunning banyan trees and spacious streets making it a true paradise home. Residents enjoy tastefully decorated habitats nestled among renowned landmarks such as the Venetian pool and Biltmore Hotel. Likewise, prospective residents have several choices when it comes to luxurious homes for sale that are equally pleasing to the eyes. Choose from condominiums, small single family, or large single family homes that are located on quiet shaded streets. 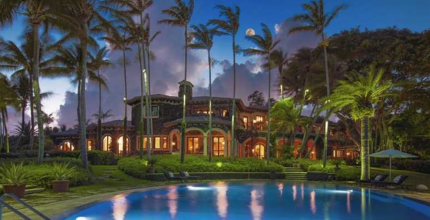 Available homes range from gorgeous ocean front properties in the southern region to Old Spanish and Mediterranean style Coral Gables luxury homes in the northern region. Situated just a short distance from Downtown Miami, the intricate and appealing designs of modern Coral Gables houses have ensured the preservation of their older counterparts’ reputation. Coral Gables historic homes were popularized for their beauty, charm, and distinct features; ranging from wood-beamed vaulted ceilings to strong oak wood flooring – all built to stand the test of time. There are many historic homes available on the market, some of which have been remodeled to look brand new but still feature remnants of George Merrick’s influence – who funded the creation of the city. The historic houses are rich in American historical features and boast some of the original artwork and finishes of the Merrick family. Whether you’re looking for modern or historic Coral Gables homes, you’ll certainly come across some appealing choices. Many of the homes for sale in Coral Gables Fl are found in secure gated communities and boast an elegant selection of designs. 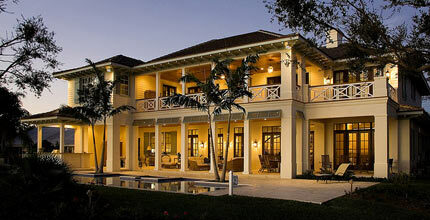 Some of these communities include Gables Estates, Cocoplum, the Deering, and Gables by The Sea. Regardless of your community of choice, you are guaranteed easy access to excellent restaurants, shopping destinations, and many attractions. Dubbed as Miami’s premier art center, the city is also an equally fun place for art lovers to call home. It’s home to several world-famous art galleries and museums that will please your eyes, lift your spirits, and awaken your imagination. For naturalists, the Fairchild Tropical Botanic Garden is one of the preferred chill spots. They offer tram tours, guided walking tours, special events, and just about anything nature lovers will enjoy, from views of tropical flowers and exotic plants to rainforest displays and hidden trails around the lakes. Golfing enthusiasts can stop by Biltmore or Granada golf course for a once in a lifetime experience – or, it could be an everyday experience when you live in Coral Gables. Situated right in the heart of Coral Gables, Granada golf course offers an excellent view of Coral Gables historic homes. It’s the perfect spot for individuals looking to relax and brush up on their golfing skills amid beautiful scenery. The bottom line, whether you’re a shopaholic, a nature lover, or a party goer, you won’t regret investing in real estate within this stunning community. Moreover, the neighborhood places residents in close proximately to the convenience of South Beach and other excellent vacation destinations. Miami International Airport is situated just moments away from the city, plus there are a wide range of shuttle and bus services in the city. Residents can also hop aboard the Miami trolley and go exploring neighboring cities, such as Brickell, Bayfront Park, and Downtown Miami; along other pit stops along the route. Coral Gables also has its own trolley system that makes stops at the Miracle Mile and Downtown Coral Gables Shopping District, the Shops at Merrick Park, the Coral Gables Museum, Hyatt Regency and Westin Colonnade, all excellent destinations for leisure activities. Discover what it’s like to be on vacation every day with Coral Gables homes. Offering the perfect conditions for a luxury vacation, homes for sale in Coral Gables are some of the most highly sought after in the area. From fine dining options and shopping centers to thrilling outdoor activities and lively entertainment spots, the city extends genuine five-star hospitality to its residents. Delight in quality educational facilities; go on truly unique adventures at spots such as Matheson Hammock Park and The Venetian Pool, or stop by the Miami Museum of Science – you can experience all this and more when you invest in the coveted real estate within the area. The community offers a host of amazing activities that every member of the family will enjoy. The Coral Gables waterfront homes for sale found along the Biscayne Bay and the Coral Gables waterway canals, offer great conditions for water activities such as boating, snorkeling, fishing and scuba diving while condos downtown offer complete convenience and an urban lifestyle. Right behind “luxury living” the number one reason why many people are interested in the houses for sale here, is the need to enjoy convenience at their fingertips. That is what the community offers. Browse our listing of Coral Gables homes for a home that will make life all the more worth living. Choose gorgeous waterfront homes for sale, townhomes, condos, and spacious single family residences based on your budget and address. We make it our priority to provide prospective residents with comprehensive details about the community so that they can make an informed decision. Whether you are looking for a home in a sophisticated small community nearby to the downtown area or a beachfront house with sufficient accommodation for the family, we’ll help you find the right home. And, if you’re not ready to commit to purchasing a home, you’d be happy to learn that there are many homes for rent in Coral Gables that will help you get a taste of what it’s like to live in the "The City Beautiful." Start your search today! We have a number of listings for you to see that are both on the market and some that are not formally listed on the MLS due to seller confidentiality reasons.